"Balanced yet provocative, witty but never flippant, clear without being simplistic, and far- but never over-reaching, In the Beat of a Heart achieves the rare trick of entertaining and illuminating at the same time." Philip Ball, author of Critical Mass and The Devil's Doctor. Why does every mammal's heart beat one billion times in its life? What can you learn from painting stripes on a cow? Why do we have fisheries, but not birderies? How much LSD should you give to an elephant? 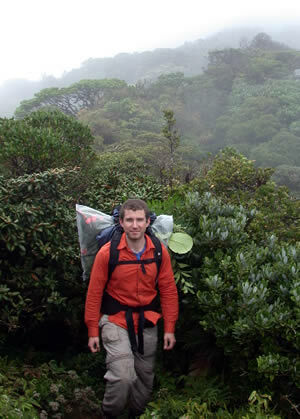 Why are there more species in the tropics than at the poles? All these questions concern energy. Now, a new theory of how life uses energy seeks to explain the structure of the natural world – from the tiniest bacterium to the greatest rain forest. Biology has mostly been the science of describing and classifying. But there have always been some mavericks questing after laws that are like those of physics: simple, general, powerful and mathematical. In the process, these daring few have done some rather strange things. In the Beat of a Heart is the story of these mavericks — and their possible recent vindication. It combines vivid biography and quirky history with fluid, witty, erudite science and nature writing. It is a story of exciting advances, colourful characters and a revolution that might be as important to biology as Newton’s findings were to physics. I am a London-based science writer. After many years covering evolution, ecology, and conservation for the journal Nature, my work now also appears in numerous other prestigious publications including Science, Discover, New Scientist, Seed, The London Review of Books, The Financial Times, The Sunday Times, The Independent on Sunday, and BBC Wildlife Magazine. I have a Ph.D. in insect evolution from the University of Cambridge and play in the South Bank Gamelan Players. 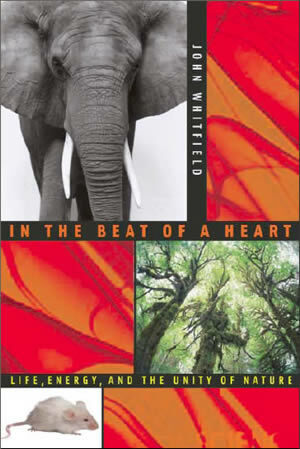 In the Beat of a Heart is my first book. It's published by the Joseph Henry Press, the popular books imprint of the US National Academies of Sciences.